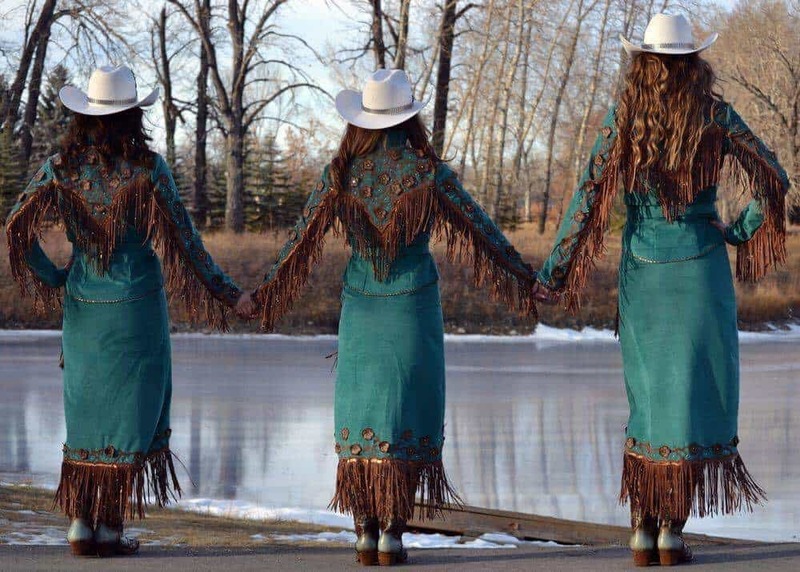 Western Horse Review sat down with the 2018 Calgary Stampede Royal Trio, Queen Lindsay Lockwood, Princess Jaden Holle, and Princess Jessica Wilson, to discuss their year as Royalty. The women reflect on their biggest moments, their most gratifying connections and what they hope to leave behind as their legacies as they prepare to hand off their crowns to the up-and-coming trio. 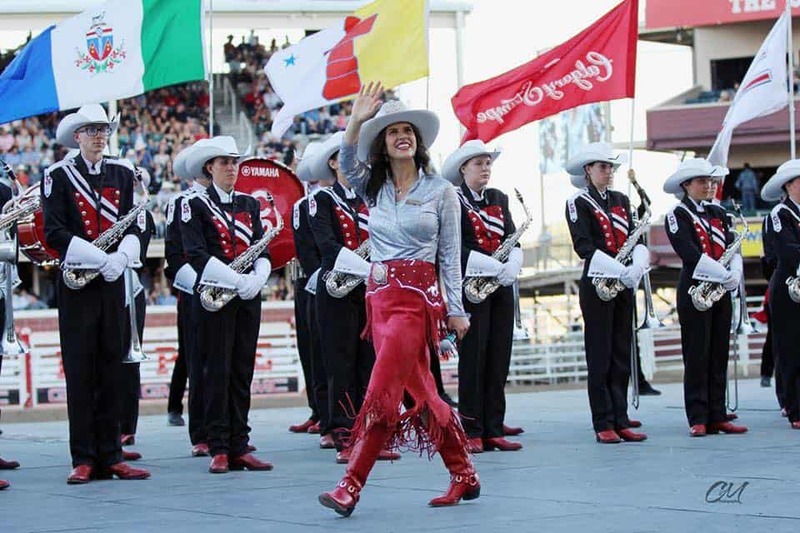 The Calgary Stampede Queen and Princesses competition is nearing soon and the 2019 trio will be crowned September 24. 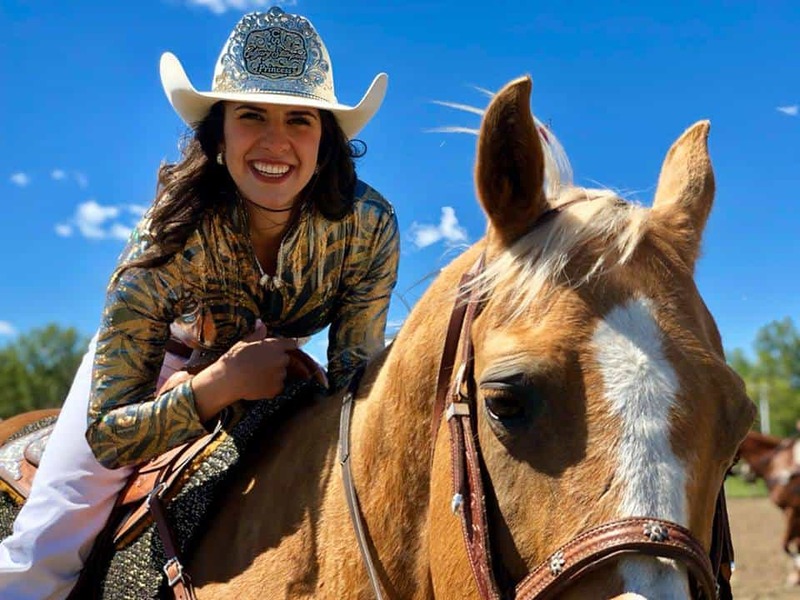 2018 Calgary Stampede Princess Jaden Holle reflects on the wild ride that was her year as Royalty. 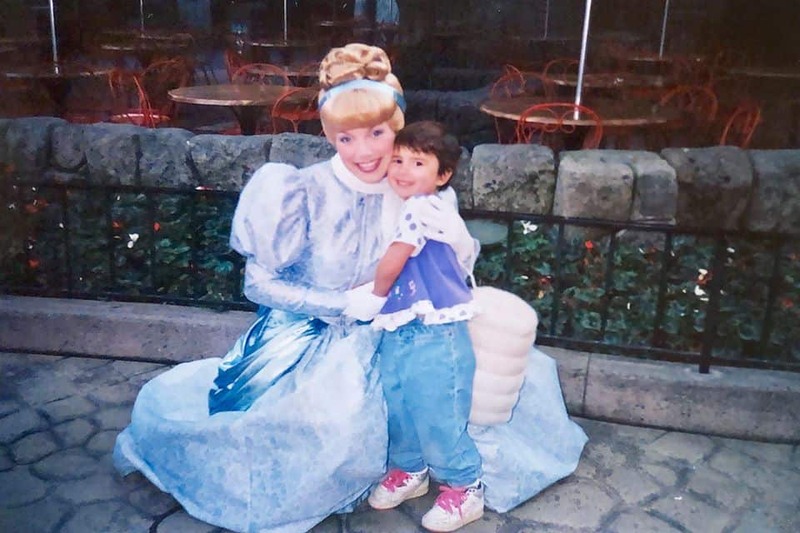 What have been some of your most memorable experiences, since your reign as Princess began? So many times this year I have had “I-can’t-believe-this-is-happening” moments. It is so hard to think of just one experience that stands out because time and time again I find myself in situations that are completely surreal. We have rubbed shoulders with some very inspirational and influential people and I’ve found myself in some places that I never thought I would be. Listening to astronauts and musicians and standing centre ice at the Flames Game or in the Canadian Embassy in Berlin have definitely made for some memorable experiences. However, when I think of the things I have gotten to do as a member of this trio, they are not always what comes to mind. The little interactions I have in unexpected moments are those that are really special, because they are just that: unexpected! I’ll always remember the looks of awe I get when I am able to tell a young girl that, ‘yes, I am a real princess’ or how it feels when the timid child at the back of the room surprises me with a hug on our way out. It is easy to cherish big moments because it is often apparent that a once-in-a-lifetime experience is happening. I wouldn’t change those surreal moments for anything, but I know that it is the small, seemingly insignificant encounters in between that really make my job special. Can you please tell us about your experience applying to become part of the trio? I always knew that it was a dream of mine to be a part of the Royal Trio, which is exactly what made applying so daunting. What if I wasn’t successful and it was a dream left unfulfilled? As scary as the potential for failure was, I knew that not trying at all would be worse. This years’ competition was actually my second time running to be a part of the trio. My first experience only solidified my desire to be a Queen or Princess one day. So not only was it daunting to think about failing in general, but it was almost more daunting to think that I might put in so much hard work only to be unsuccessful for a second time. The competition (both times) was incredibly challenging yet incredibly rewarding. I was overcome with self-doubt, fear and frustration, but I was also forced to be proud of myself for all of the obstacles I was overcoming. When I was finally crowned and all of my hard work paid off, I could hardly believe it. I felt so proud of myself for holding onto a dream and having the courage to try for it. I don’t think it sunk in for a week that I was actually part of the trio! I always say that this experience has pushed me out of my comfort zone in the best ways possible. Rather than walking into a room of strangers and feeling intimidated, I now feel a sense of excitement about all of the lived experiences and stories there are to share. I feel less dependent on my phone and get excited about the possibility of connecting with people! I have also developed such a deep sense of pride in Calgary this year. We really do have a unique culture of hospitality in this city and it’s so much fun to be able to share that. Because of this experience, I am a more confident woman and a prouder Canadian. A younger Holle, who perhaps always knew she was destined to be a princess. The royal trio are often role models for the younger generation, what is one thing you would like to pass on to these children that look up to you now? I would encourage young people to be present! Turning off the screens really opens up a whole new world. There is so much to learn from nature and from people and the only way to really take advantage of that is by being totally and completely attentive to what (and who!) is around you. I have learned so much this year by leaving my phone at home! Can you please tell us about your royal horse? I ride Snoopy! Snoopy is a fourteen year-old quarter horse gelding. He joined the Royalty program in 2010 and after 8 years, he knows his job very well! He is a palomino and a retired movie horse. He can be seen on some of the early seasons of Heartland. Him and Kansas actually used to be doubles for each other in the movies because they look a lot alike. Snoopy is a spicy boy who loves to run. He gets really excited about grand entry and even knows the lyrics to “Oh Canada!” I have learned a lot about how attentive our horses are to our moods and to our body language through my partnership with Snoopy. He is been the most willing horse and the best teammate to me. He sometimes has a mind of his own, but he keeps me smiling and I feel so lucky I got to ride him this year. I will have a hard time giving him up as he has taken such good care of me. Have there been any obstacles you’ve had to overcome this year that you would like to share? I have had to overcome the need to be perfect and to compare myself to others. 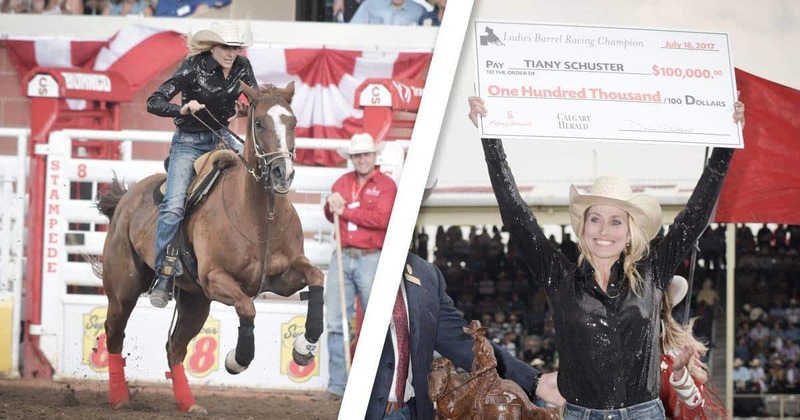 While I always try to be the very best ambassador possible for the Calgary Stampede, there are inevitably times when it feels that I could have better expressed myself, ridden better, or just simply have been better! I have learned to let those things go. I constantly strive to improve myself, but I also know that I am human and sometimes humans make mistakes! It is our attitude and how we deal with our shortcomings that really matter. Being in a trio, I have learned to rejoice in the skills and the gifts of my two teammates and embrace what I bring to the table. I have learned be proud of the way I am made, inside and out. The three of us next to one another are as different as they come. Even though we cannot borrow each other’s wranglers, that doesn’t make us feel any less beautiful or worthy to wear that iconic crown on our hats. Everybody and every body is beautiful and I hope people can see that when they look at my trio, which comes in small, medium, and large, as we lovingly joke about ourselves. The Royalty’s gorgeous leathers were created by Janine’s Custom Creations, and are a favourite outfit of Holle’s. What have been your favourite outfits so far? We are lucky to have some amazing sponsors and we have a lot of beautiful outfits for every occasion. However, one of my personal favourites are our turquoise and brown leathers that Janine Stabner, of Janine’s Custom Creations, custom-made for us. They have beautiful hand-cut flowers on them. I feel confident and elegant when I put on these leathers and I really feel that I am a part of a legacy that is so much bigger than myself. These leathers remind me of the agricultural history Calgary is built upon, and the strong women of rodeo who have come before me. Wearing these leathers really makes me stand a little taller and and hold my head a little higher. As a young girl, I imagined myself wearing something like these leathers. So, when I put them on, it represents a dream becoming reality. I feel connected to the women who have paved this road for me, and I feel hopeful that I can inspire others to be strong, proud, and courageous in pursuing their dreams. What will you be most sad to say goodbye to when you pass on your crown? This year I have cultivated some beautiful friendships. I have gained three new best friends in Lindsay, Jessica and Cieran, the other members of this years Stampede Royalty. I know that we will be friends for life. However, I will be sad that we won’t be seeing each other on a daily basis. I will miss seeing all of the people regularly who have supported and encouraged me in this role, and I will miss the opportunity to make connections with people I probably wouldn’t otherwise have the occasion to meet! However, I know that through this I have joined a family that I will always be a part of—reigning Princess or not! Although things are sure to change for me when I pass on my crown, I know the Stampede family will always be there for me and there is an incredible group of Stampede sisters in the alumni that will be ready and willing to accept me with open arms. What is your best tip or advice to the ladies that will be vying for the 2019 titles? My biggest piece of advice would be to go for it! Have a positive attitude and consider everything an opportunity to learn. Also, cultivate friendships with the other girls! We all know that competitions are stressful and being judged is stressful, so you may as well bond with the people that know exactly what you are going through. Helping the other ladies and being friendly to them is not going to hinder your performance in any way, if anything it will leave you feeling empowered and energized to go through the competition. It will also help if you are crowned to know that you have already started a friendship with the people you are about to spend a significant amount of time with! My practical advice for the competition is that there is only so much you can control, so practice those things and let everything else go. Don’t dwell on your mistakes and always keep a smile on your face! We are all cheering you on and are proud of you no matter the outcome. Being crowned doesn’t take courage, but putting yourself out there does. So, congratulations! You are already a winner. Holle says that becoming a Calgary Stampede Princess has made her a stronger, more confident woman, and a prouder Canadian. Calgary – The Calgary Stampede is proud to officially reveal the names of the 120 rodeo superstars who have been invited to compete at Stampede 2018, July 6-15. 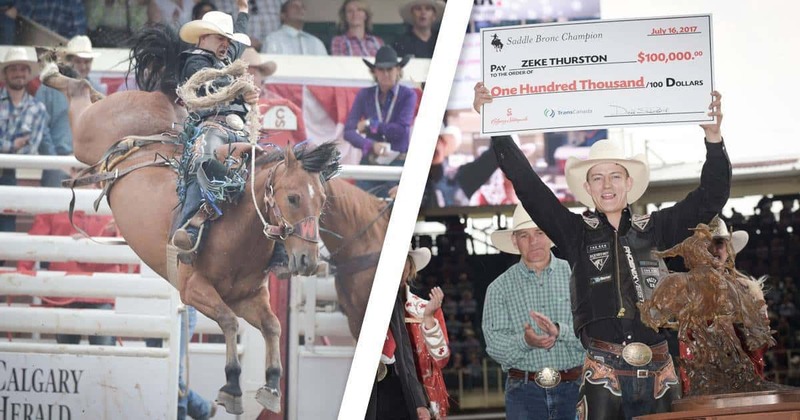 Among them is 23 year-old Zeke Thurston of Big Valley, Alberta, who has his sights set on capturing a record breaking fourth straight Calgary Stampede Saddle Bronc Championship.